The warranty applies only to the original purchaser of the Bali Natural Latex for Topper/Mattress. No warranty coverage shall be in effect for any Latex for Bali Natural Latex that contains any stains, spills, soils, or chemical smells (cigarette smoke, and other unnatural odors). – DO follow the care instructions for the mattress regarding required rotating. This will help equalize compression of the mattress cover. – DO use a new, firm, supportive foundation. An older, worn foundation may cause the mattress to appear to have impressions when the issue may be due to a non-supportive foundation. – DO use a proper frame. Use a bed frame that supports the head, foot and sides of the mattress with rigid center support. For any frame that does not have a metal center support, there must be at least 5 hardwood slats (1 x 4’s). Failure to provide proper support can damage the mattress or foundation and invalidate the warranty. 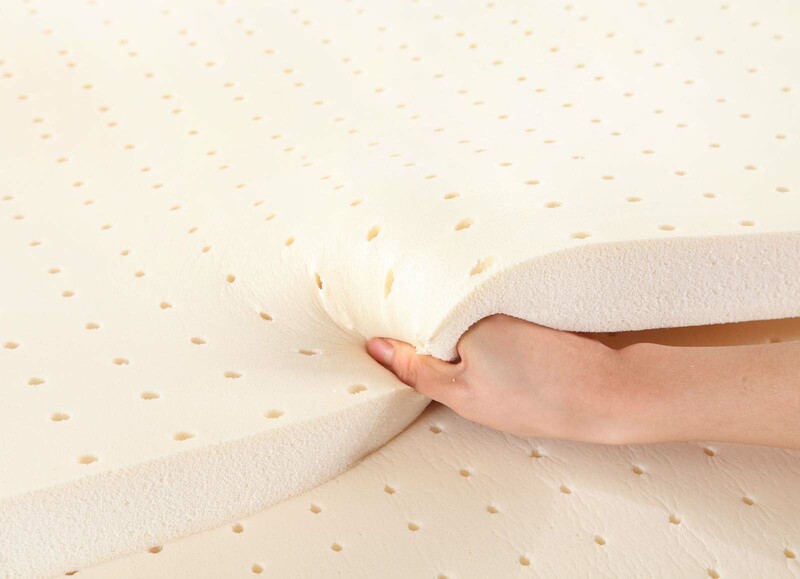 – DO use a mattress protector on the mattress at all times to avoid stains. Soiling can negate the warranty. – DO properly wrap your mattress and position it on its side when moving it. – DON’T remove the white cloth law labels or mattress trade labels. These labels serve as a means of identification to establish warranty rights. – DON’T bend, fold, stand or jump on the mattress. – DON’T use dry cleaning fluid on the mattress or any liquid cleaning fluids; it can/will damage the mattress cover. – A Latex for Bali Natural Latex Natural Latex product that has a manufacturing defect and is stained or soiled. For health and safety reasons, Latex for Bali Natural Latex Natural Latex may not be able to inspect stained or soiled products to assess whether they are covered by the warranty, in which case, Latex for Bali Natural Latex reserves the right to deny warranty coverage. WARNING: KEEP AWAY FROM FLAME, IGNITION SOURCES, DIRECT SUNLIGHT AND HEAT.